Echo Engraving is capable of fitting all your engraving needs. Our products range from signs, industrial tags, warning messages, nameplates and more. We can engrave on two color plastic stock, giving you the option to choose both the background and letter color. Engravings can also be made on aluminum, brass, and stainless steel. 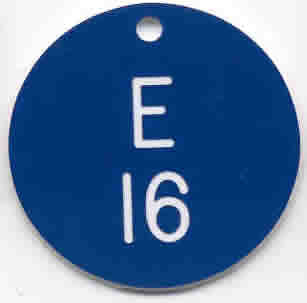 Uses range from industrial tags and nametags to plaques and luggage tags. Letter sizes, fonts, graphics, and layouts are completely customizable to your taste and specifications. Just call or stop by Echo Engraving, located in Morton Automatic.